I have been SUPER busy around the house! I am excited to post the before and after pictures. But just so you didn't think I TOTALLY disappeared, I wanted to share a QUICK tip I found out about during this CRAZY remodeling/changing things up a bit journey. 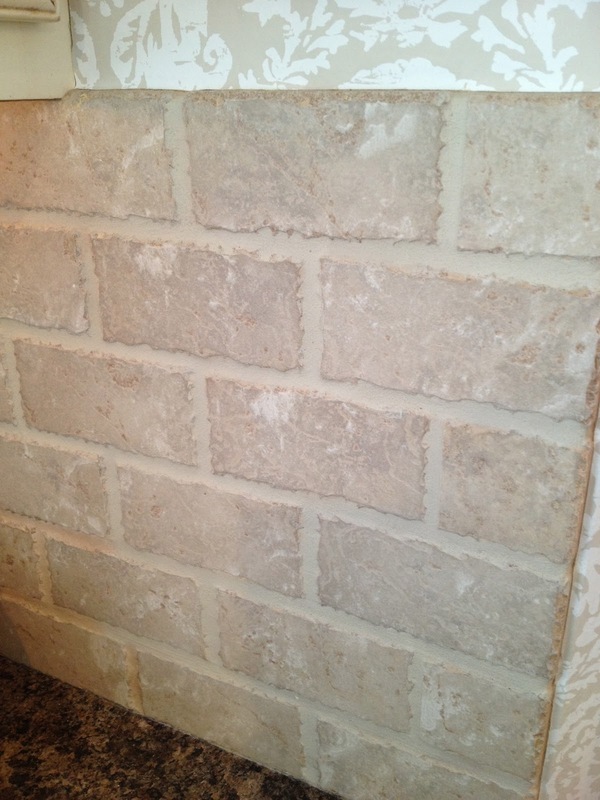 When we built this house 7 years ago, let's just say I didn't know much about "grout color" as much as I do now. 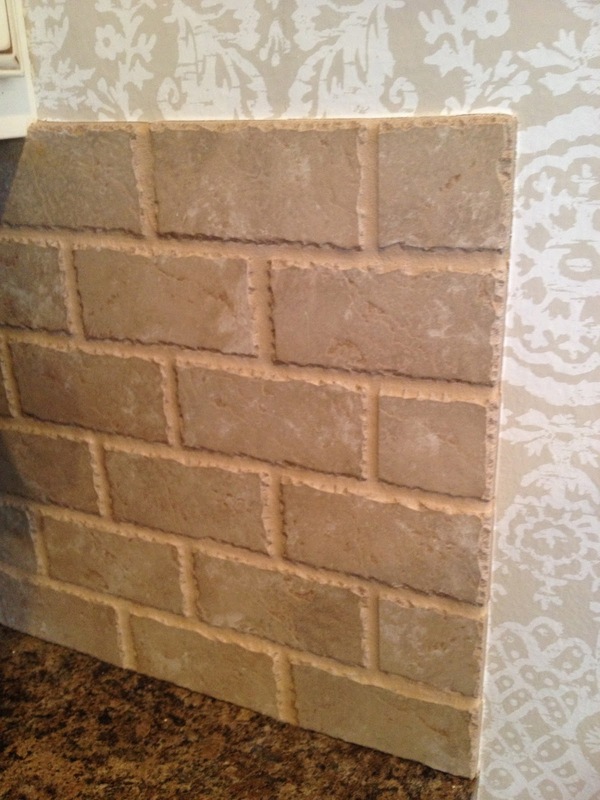 So when the kitchen backsplash went up, I had the tile guy pick whatever he thought looked good with the tile. BIG MISTAKE!!! What I ended up with was a grout that looked PINK, Ahhhhh! I thought that if we were to re-grout it, I might like it a lot better. I didn't have to re-grout it!! All I had to do was PAINT THE EXISTING GROUT! You mean there is such a thing as Grout Paint?? Can I just tell you how that made my day! The shop owner had me look at the grout deck of colors and I picked the perfect shade that coordinated with my existing tile! So glad you posted this. I actually bought the stuff to use on my bathroom floor, but just haven't yet. Time to get it done. PS the wallpaper is dreamy. What an amazing difference! I love it. 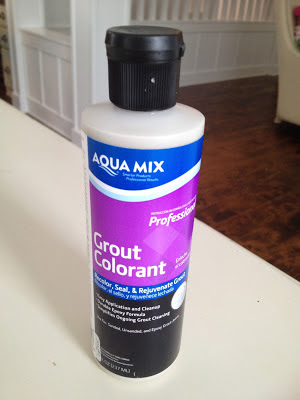 I had no idea you could change the color of grout! ...just learned something new. Thanks for sharing. I am pinning this for future reference! So cool that you can change the color of grout. And wow! What a difference it made!